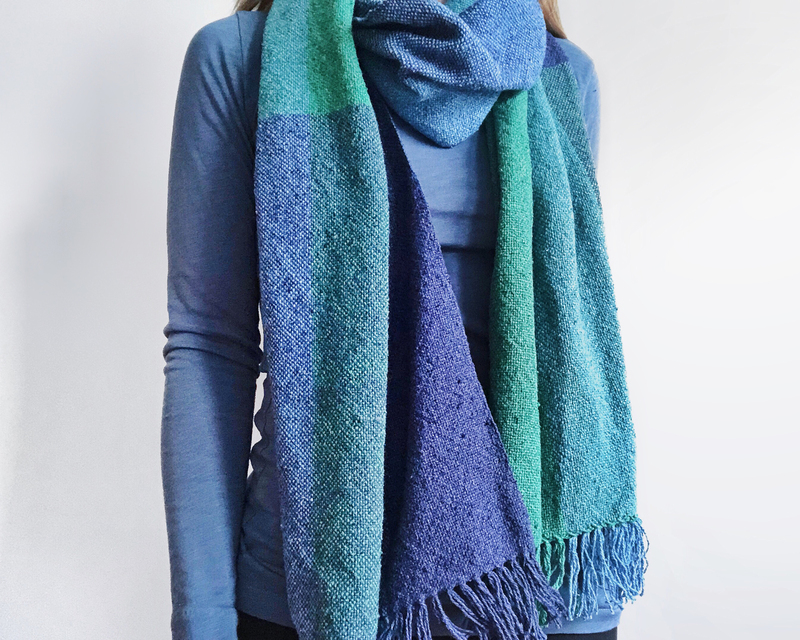 The Color Field Scarf is woven with one of the most scrumptious textured yarns in our shop, silk noil. 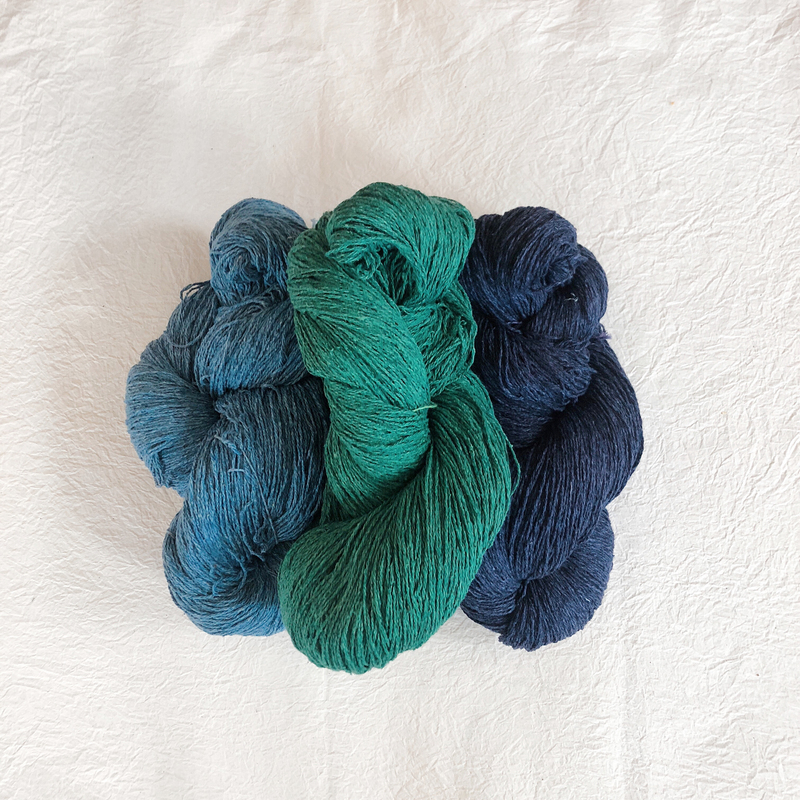 The beautiful sister to shinier bombyx silk, this yarn is made from the remnants of silk after the carding process. 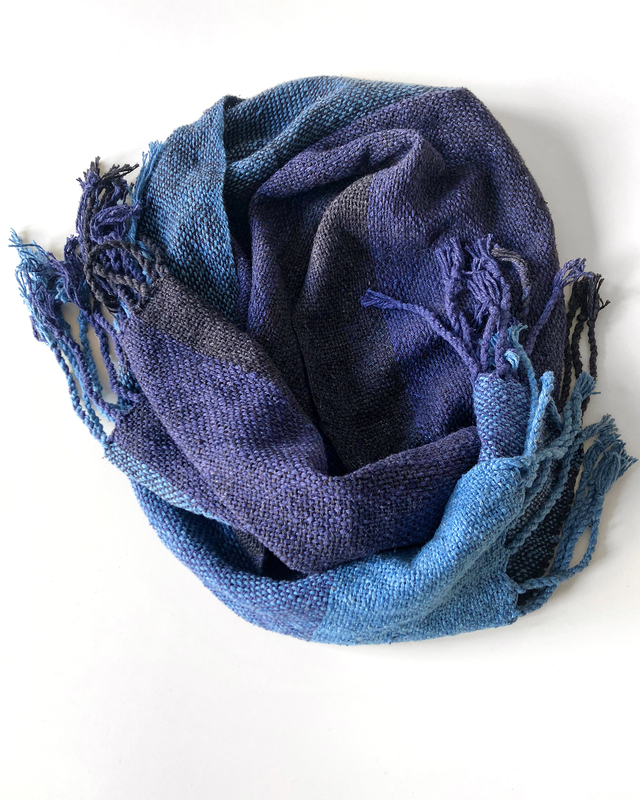 This gives it a lovely matte feel, and makes a scarf suitable for men and women. 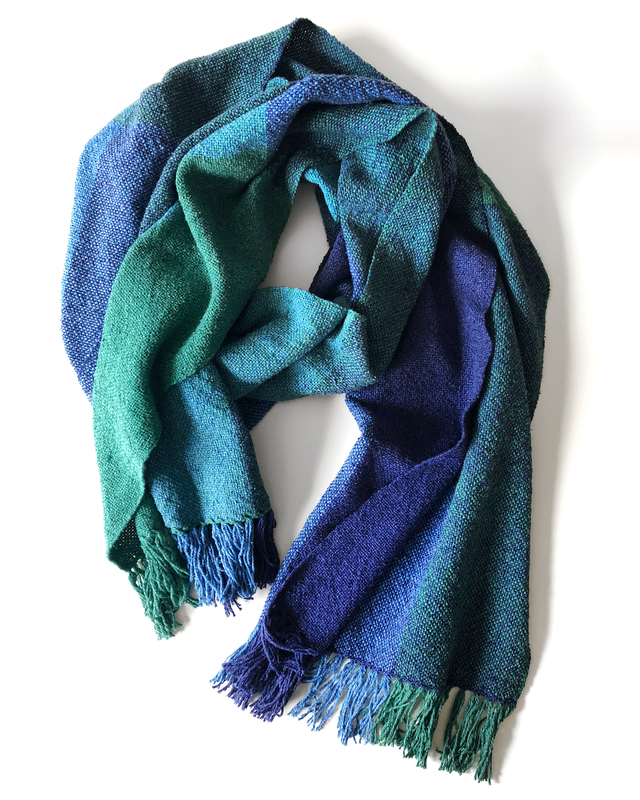 The vibrant colors blend together to create a variety of gem tone hues, and the soft texture of the silk adds dimension to the weave structure. 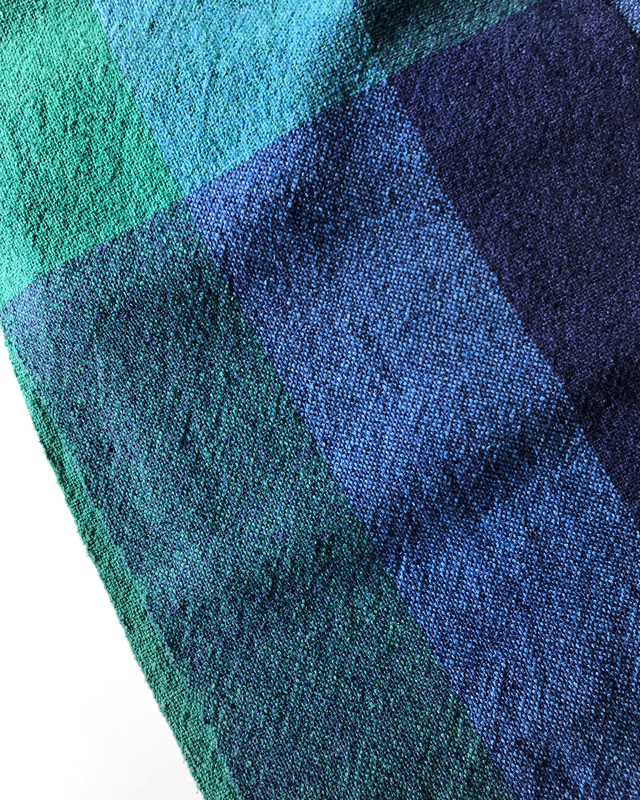 Weave this on your rigid heddle, table, or floor loom. Grab a couple of kits if you're in holiday planning season - these will make cherished gifts! 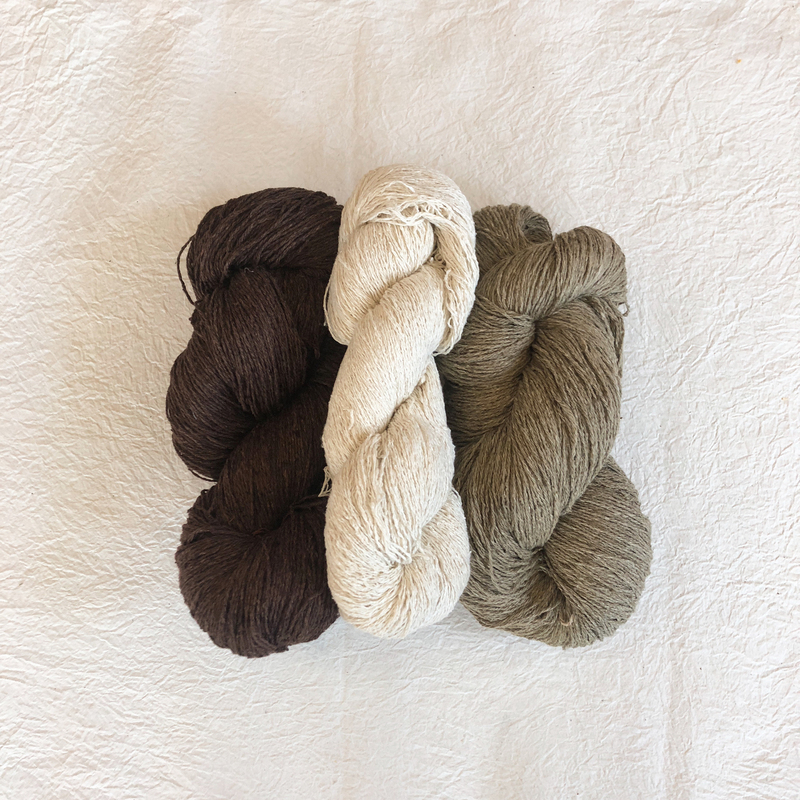 Warp & Weft: 3 skeins of Italian Silk Noil Weaving Yarn or 1 skein of 10/2 Silk Noil Weaving Yarn and 2 skeins of Italian Silk Noil Weaving Yarn. 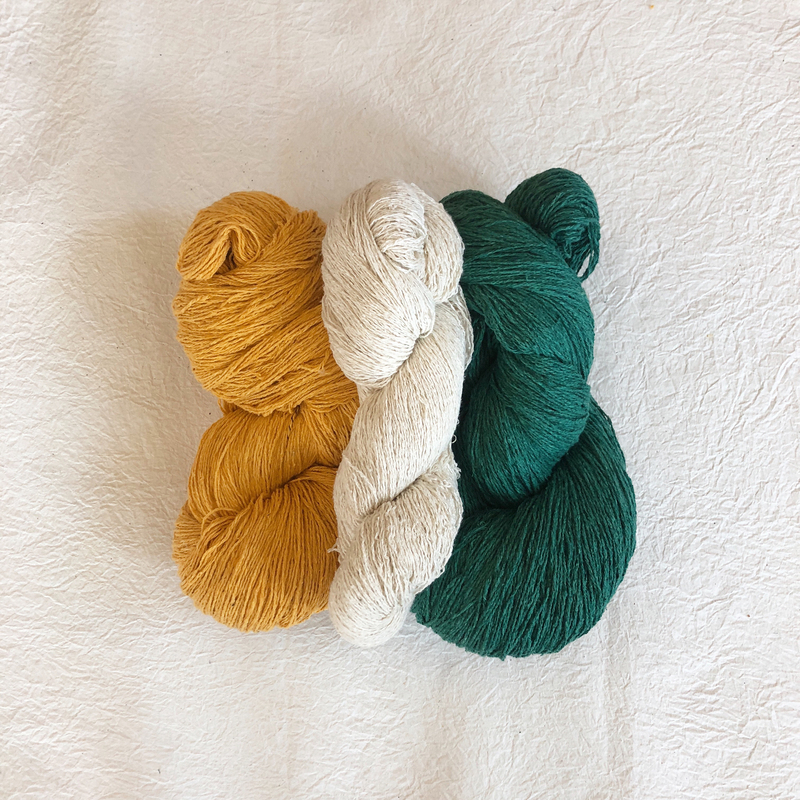 Kits: Each kit contains enough yarn to make a scarf that measures approximately 16" W x 90" L.
Warp Color Order: Wind a warp following this sequence for a total of 198 warp ends. Weft Color Order: Weave the following color block sequence for a total of 90". Measure the length of your stripes when the loom is not under tension for the most accurate measurement. 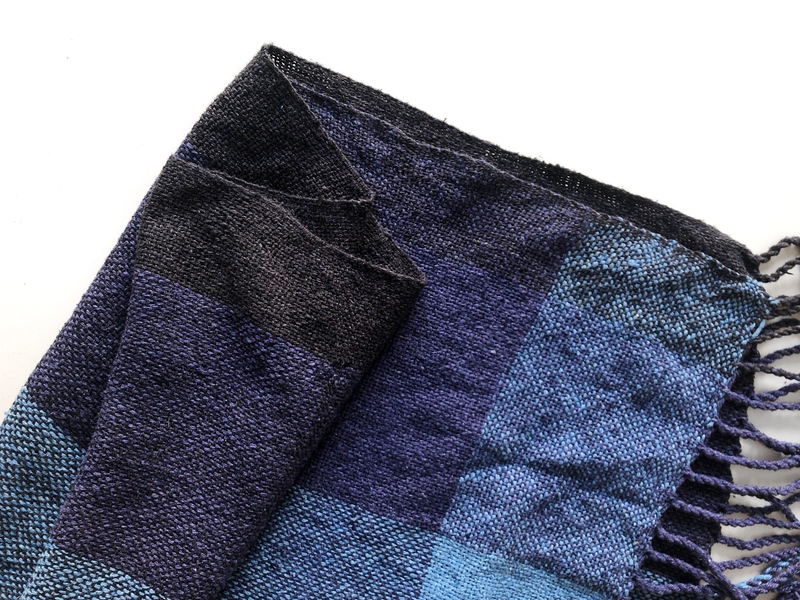 Begin and end your scarf with hem stitch (tutorial here) and make sure to leave enough room for fringe. 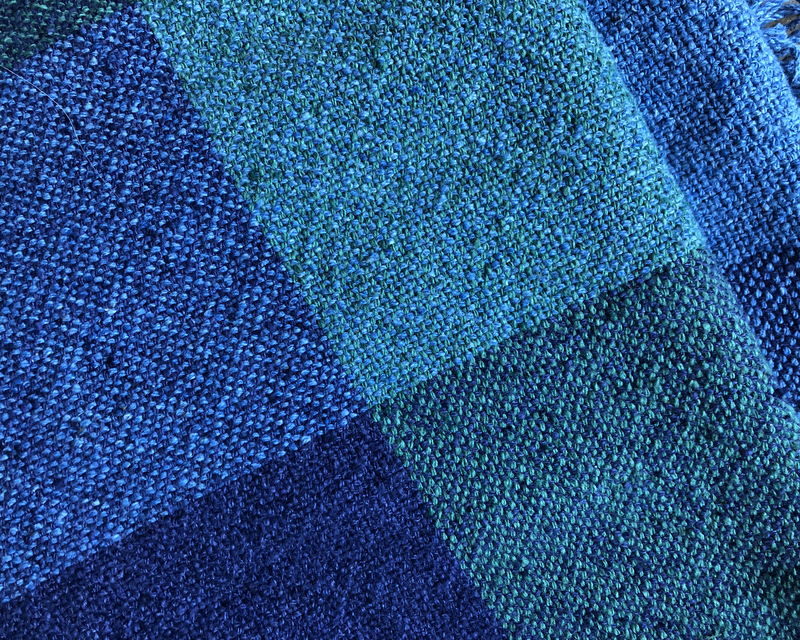 Experimenting with the warp sett can produce very different results with the exact same yarn. 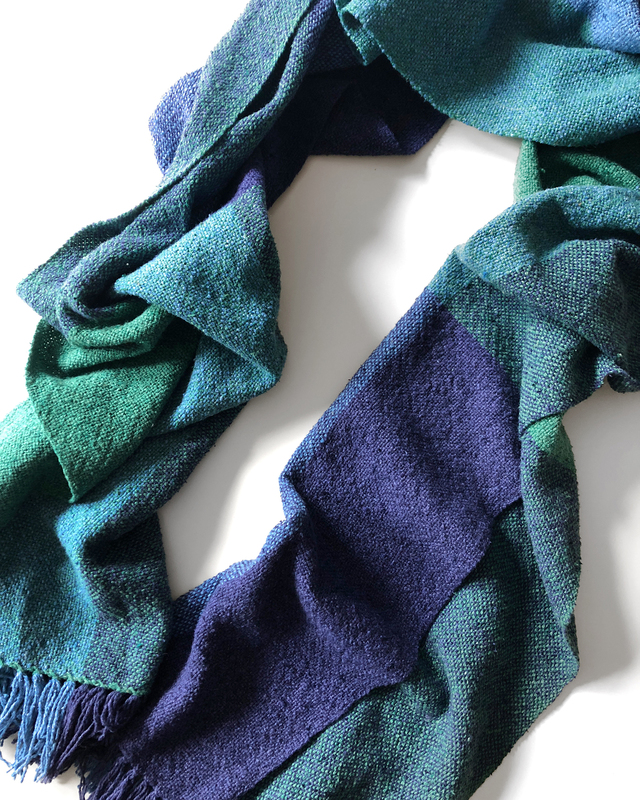 Sarah wove this scarf with a sett of 10 ends per inch vs. the 12 ends per inch in the scarf above. 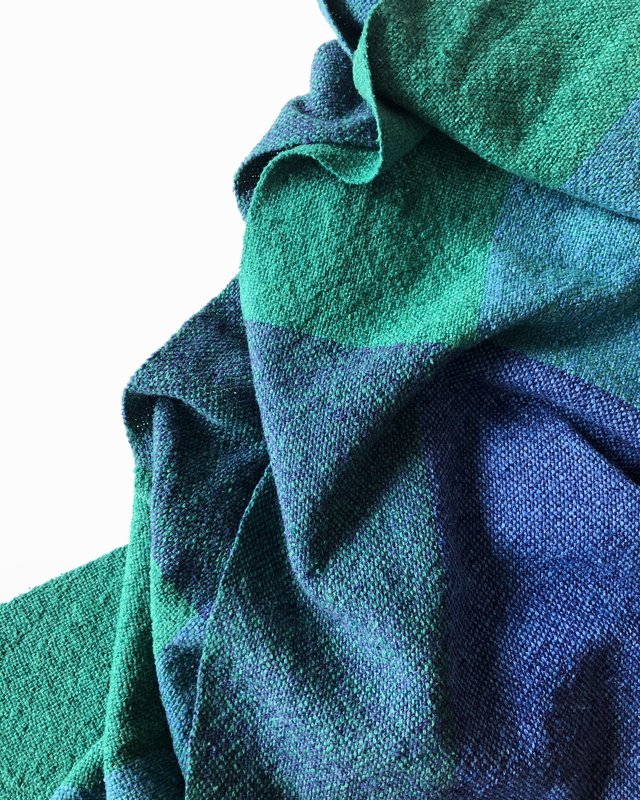 This created a lighter, more airy fabric. 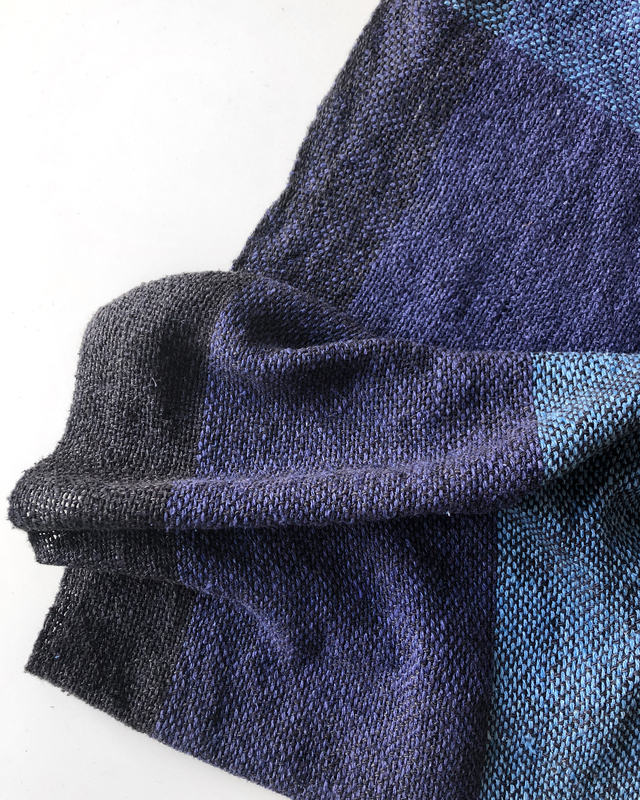 A subtle gradient was created by warping with the Italian Silk Noil Weaving Yarn in charcoal, followed by midnight and denim.